These 100% cotton aprons can be personalized for birthdays, holidays, or any special occasion. They measure 16″ wide and 20″ from neck to the bottom. Available in white, blue, pink, fuchsia, apple green, and red. 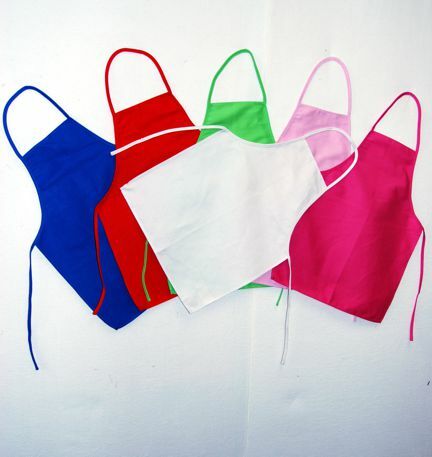 These aprons are sized for children ages 4 to 8, but may fit older or younger children depending on height.